With a flavor and color more akin to grass-fed beef than poultry, ostrich meat makes a great heart-healthy alternative to red meat. It's low in fat and cholesterol (even lower than skinless chicken) and high in iron; the lower fat content means the meat cooks faster with less shrinkage. Ostrich pairs well with the flavors & ingredients commonly used with beef and other darker game meats: red wine, garlic, rosemary, mushrooms, bitter greens and mustard. We recommend cooking ostrich medium-rare to medium for the best eating experience. Fan Filets are cut from the upper inner thigh. They are the most tender ostrich cut. With a deep red color and smooth texture, they're easy to work with — you can prepare it like a London broil, with or without a marinade. 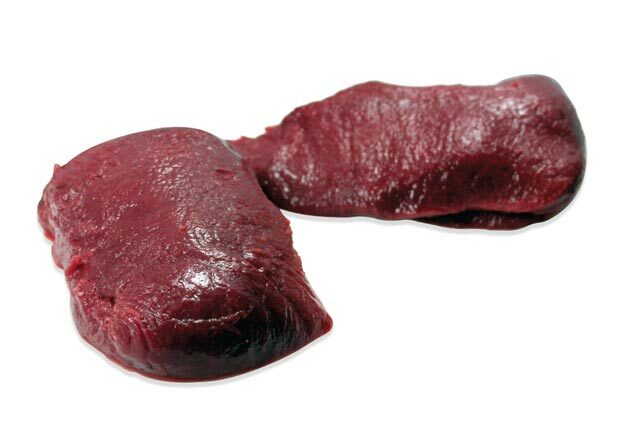 Tenderloins are meaty and tender, though not quite as tender as fan filets. They're incredibly versatile and can be roasted whole, sliced into medallions, broiled, fried, braised, poached or grilled. Top Striploins (also sometimes called top loins) have a similar tenderness to the tenderloin. Each striploin is close to one pound, making this an ideal serving size for two for shared plate entrees or it can be sliced into medallions. Striploins can be broiled, grilled, pan-roasted or fried.